Not that I don't appreciate the effort, but there hasn't really been any developments in the UFO field in years. This will probably be more of the same old stories. Hope not though. This is going to be great for the viewing audience, cant wait! There cannot be any lies classed as fact info on a worldwide TV channel. What you will see in this show is the truth. 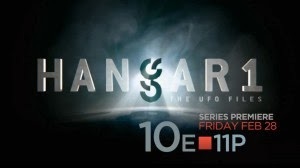 I REALLY enjoy your show, however, I thought that I might discover the location of "Hangar 1" with a little "sneaky" investigation. I ran the "N" number of the aircraft parked in front of the hangar. N36610 came back as being a "hot-air" balloon belonging to a person in Texas. So much for my "detective work"!